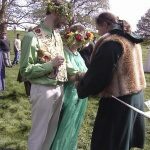 Majorities of bride and groom these days look for ways to make their wedding exceptional and unique. 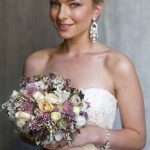 If you are in search of interesting wedding trend and tips, the tips below can be a source of inspiration and a guide into making your wedding day magnificent and as unique you would want it to be. Make your guest feel that they are the essential part of the day by adding them into the day’s decoration in an arcade of momentous pictures. 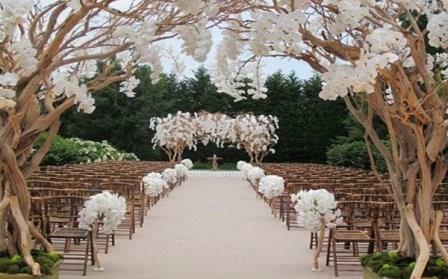 You can do what is referred to as the ‘memory lane, by wedding planners. To create this effect, take the pictures of the bride and groom together with the pictures of friends and family and suspend them along the way that leads from the venue of the wedding to the venue of the reception. 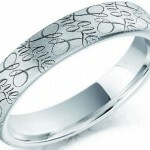 These interesting wedding trend can begin a fun wedding party discussion as guest walk o the reception hall. When you walk into the reception venue for the first time as husband and wife instead of entering in the traditional arm-in-arm leisurely walk, run, skip or dance. Alternatively, you may pounce in on a rope to and fro swing. These are just ideas. You can think of any creative move you’d like to take with your groom. Discuss it together to arrive at a conclusive solution accepted by the both of you. Ensure you come up with ideas or an idea that would make a good impression. 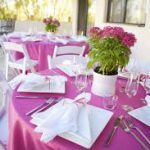 These interesting wedding trend are artistic manners to break the ice and start off a fun vibe for the remaining part of the wedding party celebration. Another interesting wedding trend you could try is to make use of menus puzzles. In this type of party game, every guest is given a piece of the puzzle at their table setting. To come up with the full menu description, all the guests have to put the pieces of puzzle together. Alternatively, you may wish to try games like crossword puzzles. These are entertaining for the back of a program or when you have a wedding arrangement whereby your guests are being taken on a long bus ride to the venue of the reception. Using a live band to make the day entertaining is another interesting wedding trend you may wish to incorporate into your day if you have the means. Guests constantly love the energy of a live band but they tend to enjoy hearing the original artist play live their favorite tunes. 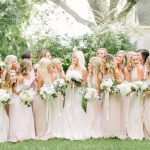 If wish to find a middle ground, the bride may hire a dance band but as well play DJ’ed music during the breaks, or you could arrange to have live music during a few parts of the event while during the rest part of the occasion, recorded music would be played. It is best to combine the best live band music with the best recorded wedding music concurrently. You can get a type of band where the DJ plays the original music while the percussion players play live band. This form of interesting wedding trend combination thrills the crowd. You can send your guests home with a passionate home gift. It may be romantic poem book like that of Pablo Neruda. You may wish to send them off with any of his love poems or any other one that appeals most to you. This form of take home gift and interesting wedding trend serve as a magnificent and lifelong guest favor that’s much more consequential that offering them a bag full of almonds. Purchasing the book or your chosen gift item in bulk could qualify you for discount. Before handing the gifts over, do try to incorporate a personalized bookmark that says a big thank you to your friends and family for sharing your wedding day celebration with you.